Did you know there are month-long celebrations every March and not just Saint Patrick’s Day? 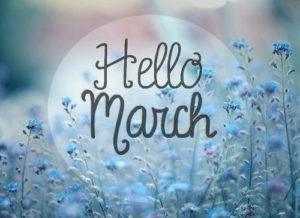 Welcome to the list of March Marketing Ideas … with no shamrocks or leprechauns in sight. American Red Cross – got some red marketing materials left over from February/Valentine’s? Use them up in your American Red Cross promotions. American-Irish Heritage – think far bigger than just Saint Patrick’s Day and focus on true Irish-American heritage, it’s history and culture. Music In Our Schools Month (MIOSM) – Help to keep music programs alive and well in our school systems. National Craft Month – Created by the Craft & Hobby Association in 1994, it was designed to help people learn about and re-discover the joy of crafting and all its many benefits. National Nutrition Month – Focus attention on the importance of making informed food choices and developing sound eating and physical activity habits. What’s the healthiest items on YOUR menu? National Women’s History Month – In 1987, Congress declared March as National Women’s History Month in perpetuity. Educate your customers on women’s history in coffee origins countries … good and bad. Youth Art Month – Do I see you teaching those kids the intricacies and joy of creating Latte Art? There also happen to be a litany of week-long celebrations in March as well as individual celebration days too. And let’s not forget about March 20th, the first day of Spring … which merits it’s own blog post for Spring Marketing Ideas.